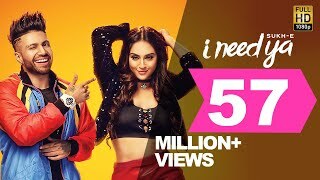 I Need Ya Lyrics: SukhE Punjabi song starring beautiful Krystle D’Souza in the female lead. The song is written-composed by Jaani, and has music produced by B Praak while its music video is directed by Arvindr Khaira. Baby I need ya, need ya..
Baby I need ya, need ya, need ya..